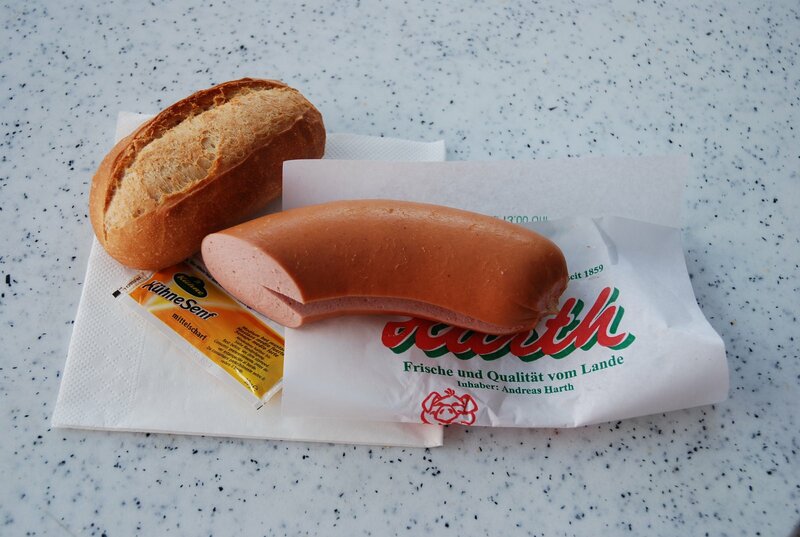 You won’t find anything much more traditionally Mainz than this – a decent sized chunk of Fleischwurst, straight out the pot, a freshly baked roll and a dollop of mustard. And the best place to get it is on the Farmers Market which occupies the 3 squares surrounding Mainz’s Cathedral on Tuesdays, Fridays and Saturdays. And the best butcher for it (some would dispute this, but they’re dead wrong) is the Harth family from Stadecken-Elsheim. Almost 150 years in the business, so assume they’ve got the hang of it. They trundle in to the city with their mobile butchery at 6:30am, pull up the shutters and fight off the crowds. But weck are traditionally baked in Siamese twin-like pairs – as Paarweck. And interestingly enough, there’s a link to our old mate, St. Martin. His feast day is the day – even now – that rents and lease payments for land are due. And – in addition to the dosh – the landowner got a Martinsweck from the tenant. I appear to be the victim of some underhand dealings. They’ve substituted some mustard for the wine without my noticing. 03 Mar	This entry was published on 3 March, 2007 at 09:20. It’s filed under Mainz and tagged Uncategorized. Bookmark the permalink. Follow any comments here with the RSS feed for this post. >I have to say that looks absolutely delicious!